Our Retreat Center and Lodge in lush, magical nature! Located in the beautiful area of Lake Arenal, Living Forest hosts an array of retreats, including: yoga, transformation and healing, dance and movement, art and creativity, meditation and other spiritual retreats. Living Forest offers different types of accommodations, all nestled against beautiful forest backdrops. Join us and wake up to the sound of the river and jungle, with tropical birds and monkeys often in sight. This unique environment is the perfect place to fulfill your desires of finding peace, relaxation and your inner balance. Come and relax or use us as a base for exploring the Lake and Volcano Arenal area, experience Costa Rica’s abundant wildlife and friendly people! 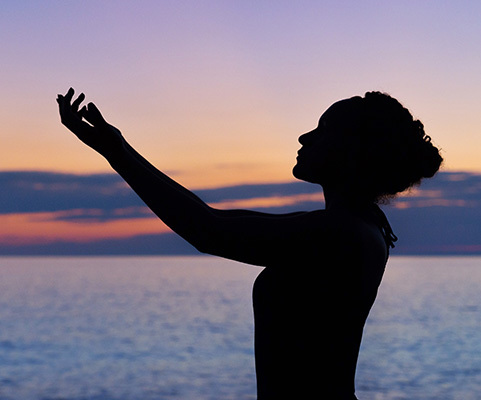 Learn about our customized retreats for renewal and health. Relax in our well-appointed and comfortable lodging for one or more. We offer yoga and other classes for beginners and the experienced. If you only go once you will never forget this experience. Absolutely one of the most magical places I’ve been. I felt fully supported by Nature and happy during my stay.